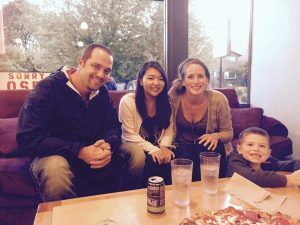 PIA’s homestay program offers students the opportunity to live with an American family during their stay in the US! Living with a local family is a great way to learn US culture, improve English skills, and make lifelong friends. PIA host families provide a welcoming and caring home to our students. All host families offer clean homes in the vicinity of the campus. All students are provided with a private furnished room, food for all meals, and access to WiFi. All homestays are within 75 minutes of campus and most are within easy access of public transportation. All host families are carefully screened. A PIA housing coordinator visits a home before students move in to make sure it is a good place for students to live. The coordinators work hard to ensure that students are paired with a host family that is a good match. PIA assists students in adjusting to their new living situation and provides support throughout the term. Students who want to join the homestay program are required to pay a non-refundable placement fee at the time of application. Homestay fees are paid monthly directly to PIA. Students are permitted to move out of homestay at any time with two weeks’ notice and payments will be prorated. Students must apply to the homestay program at least 30 days before their arrival to allow time to arrange a placement. For information on housing fees, click here. 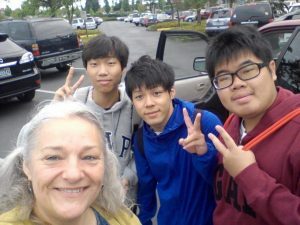 Homestay is one of my valuable experiences in the US. I’ve learned English and American culture through my host family, and they are my best friends. It’s very lucky to meet them, and I am happy to be a member of this family. What are basic food items? *Every host family’s basic food varies, so please ask your host family about their basic food. Please tell your host family foods which you like/dislike. **If you buy food from your culture, it is often your responsibility to pay for it. What if I go out for dinner? If you eat out on your own, you will need to pay for it by yourself. If your family invites you out to dinner, you may have to pay. Ask your host family before you go. Who can apply for the PIA homestay program? PIA welcomes all students enrolled in its programs to apply for homestay. We have host families that are open to host men and women of all ages, religions, and cultural backgrounds. Our families can accommodate dietary restrictions and other special conditions. We are not able to accept couples or students with children in the homestay program. More than one student may be placed with a homestay family, as long as each student has a private bedroom. 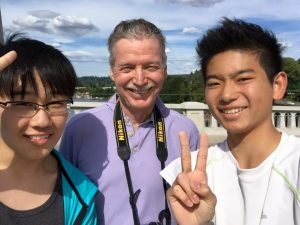 Students that speak that same native language will not be placed in the same homestay (except for some short-term programs). Again, we are not able to accept couples or people with children in the program. Some students like to travel during breaks. Even if you are not staying at your host family while traveling, you still need to pay the fee. There is an exception to this rule if you take a vacation term and come back. 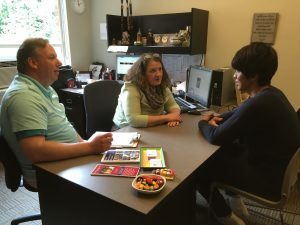 PIA housing coordinators are available to help students adjust to the homestay experience and offer support with any communication problems or other concerns with host families. If a student wants to change homestay, he or she is required to give two weeks’ notice and must complete a homestay-change form. If a student moves between homes more than once, there may be an additional change for placement. 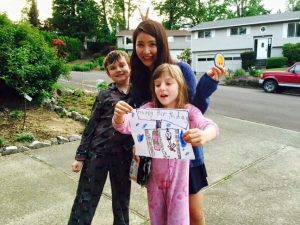 Students must give two weeks’ notice before moving out of homestay. Otherwise, there will be a charge for the two weeks of rent. A completed PIA homestay application form. A $250 non-refundable placement fee. Students are encouraged to provide as much detail about themselves as possible on the application. This helps PIA match students with the host family best suited to their personality. PIA will send students information on their host family 1-2 weeks prior to arrival. The homestay application is included in your application to PIA. If you are already a PIA student and would like to join the homestay program, email info@piaschools.edu for more information.